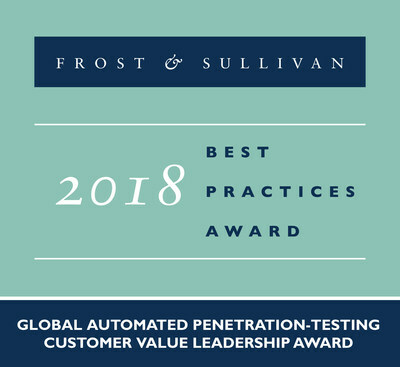 LONDON, March 20, 2019 /CNW/ -- Based on its recent analysis of the global penetration-testing market, Frost & Sullivan awards Pcysys with the 2019 Global Customer Value Leadership Award for PenTera™, an automated penetration testing platform that resolves the cost and manpower challenges inherent in manual pentesting. "Employing algorithmic pentesting, the PenTera platform far exceeds a human pentester's capacity as well as eliminates huan error," added Eli Grach, ADS Industry Analyst. "The platform validates large computer networks simultaneously and repeatedly reviews all pentesting stages, including discovery, vulnerability analysis, and exploitation. As an automated system, PenTera provides CISOs with the option to focus on specific network segments and validate previously discovered and mitigated vulnerabilities."